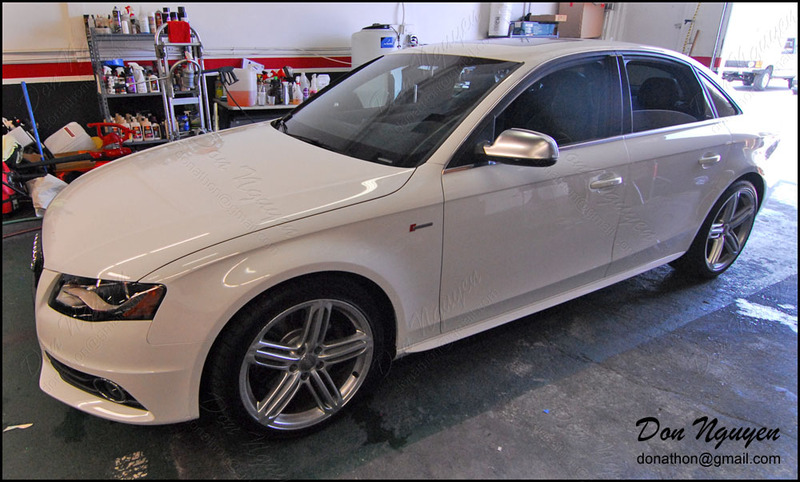 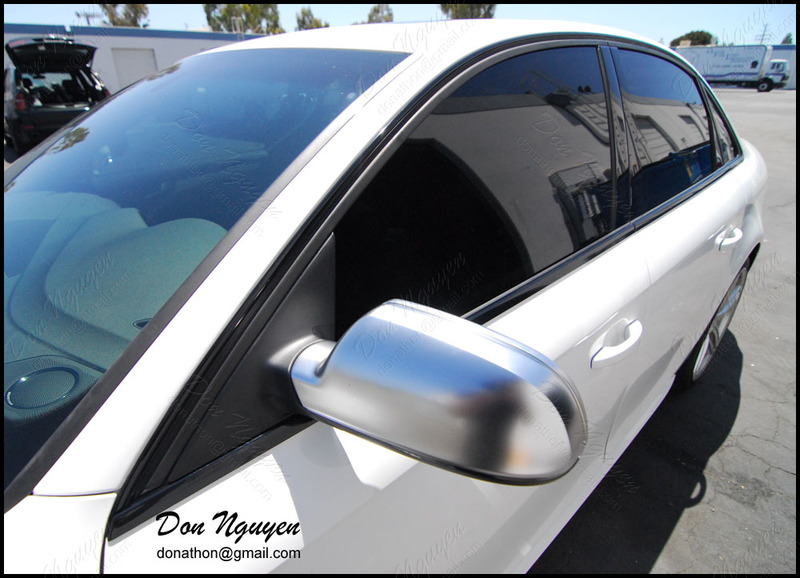 Here is a brand new white Audi B8 A4 that I blacked out the chrome / brushed aluminum window trim with my gloss black material. 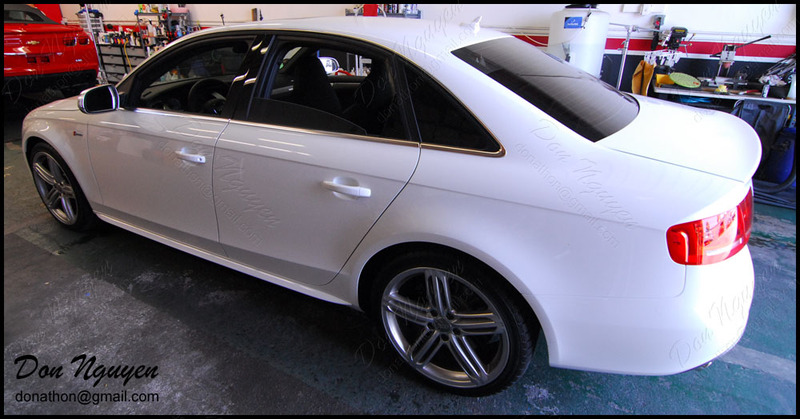 The owner of this car went with gloss black over the matte black so it'd blend in with his tinted windows. 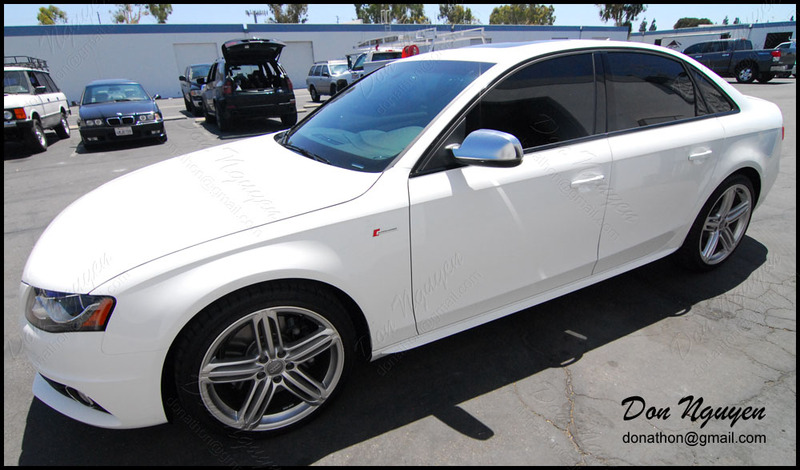 The chrome is a small detail, but even on a lighter colored car like this white Audi, it still makes an immense difference in the overall look of the car. 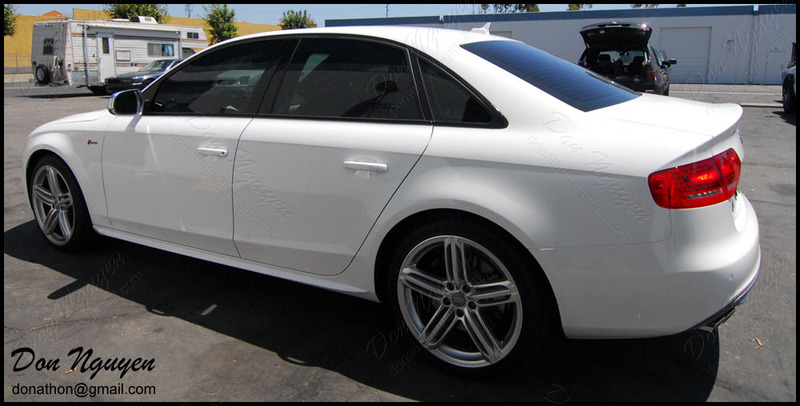 I believe the owner of this car was from around Orange County or Los Angeles. 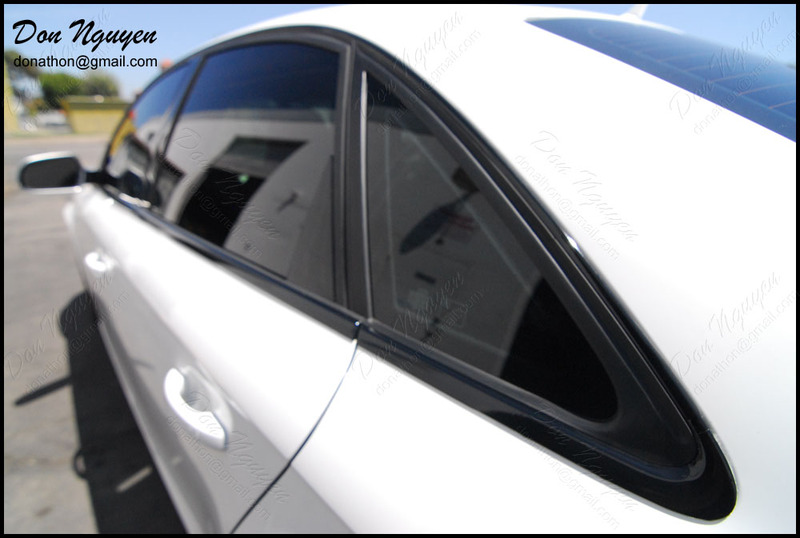 The gloss black window trim makes the car look sportier and classy at the same time, without ruining the factory look.